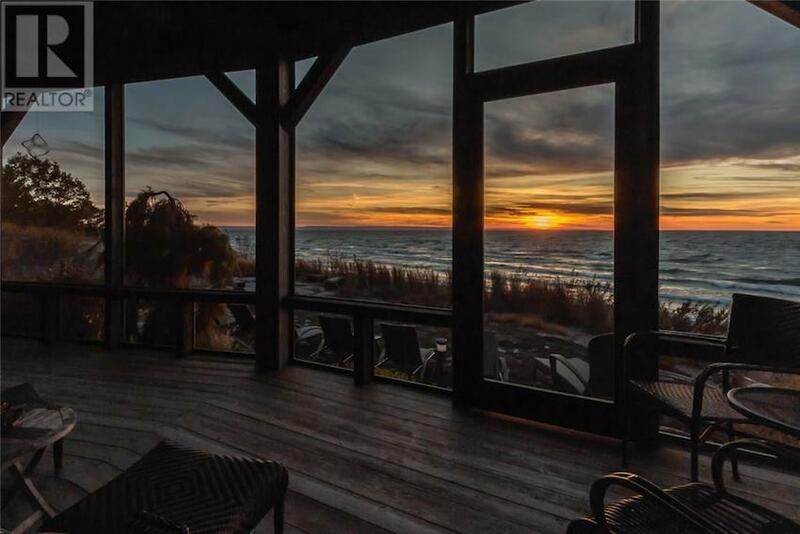 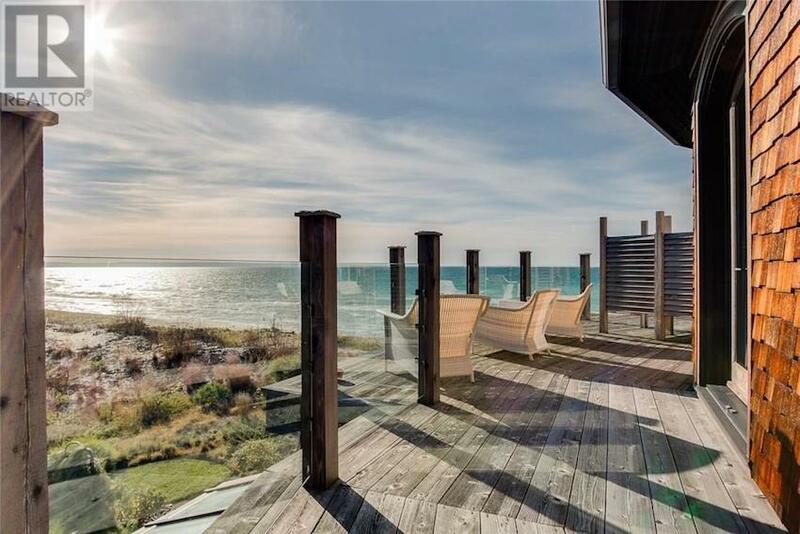 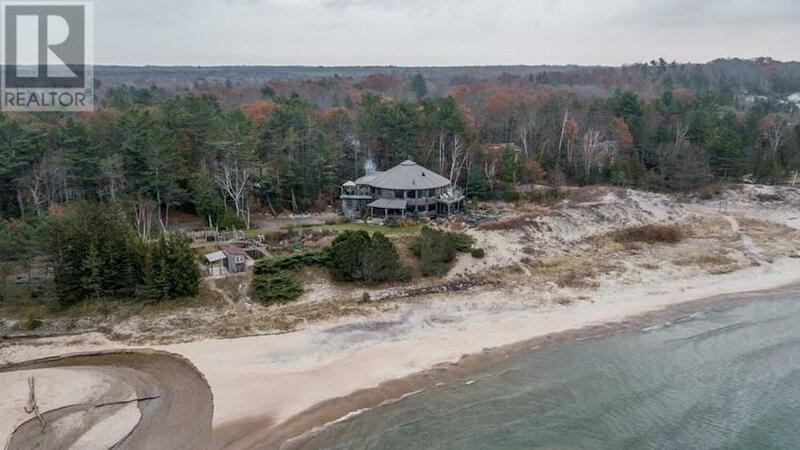 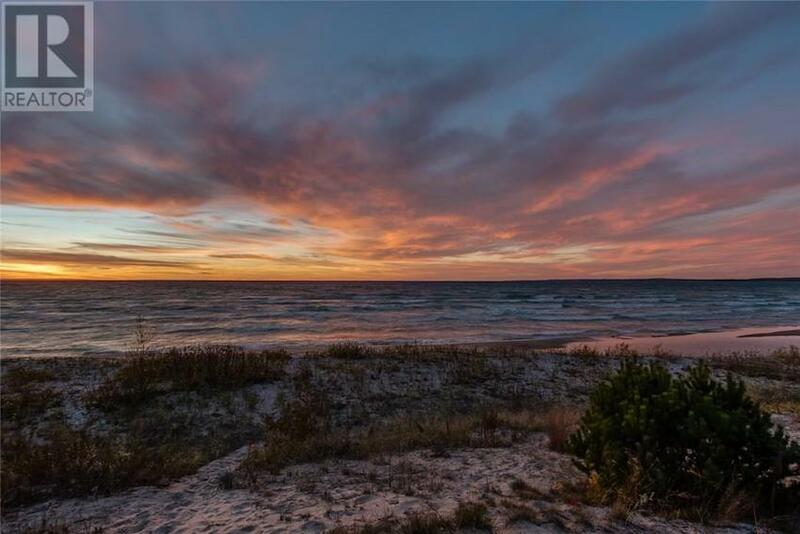 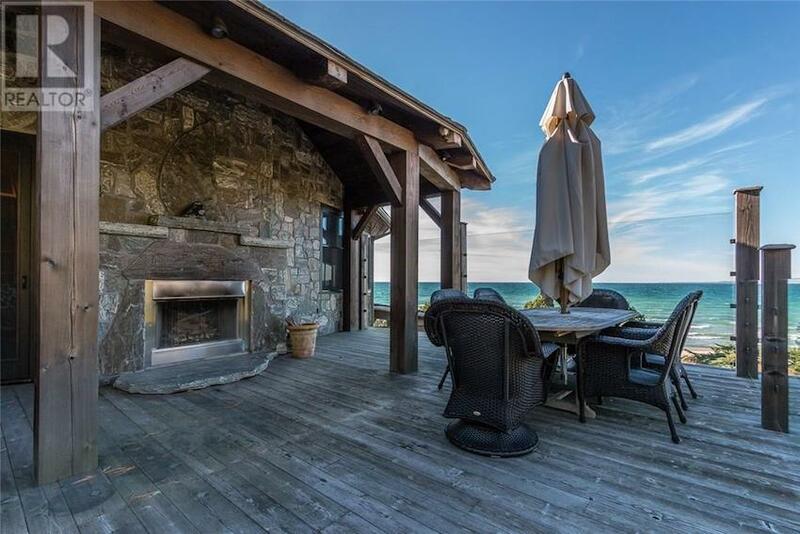 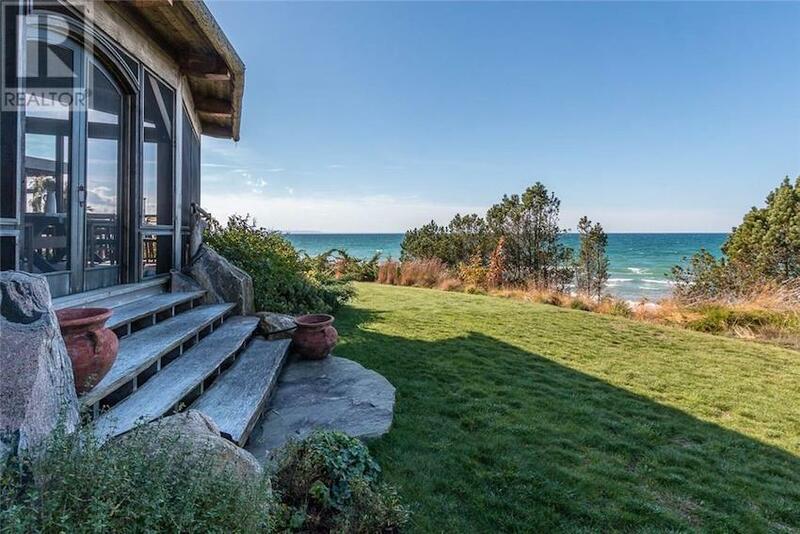 Breathtaking bay views, extensive outdoor decking and 322 feet of frontage on Ontario’s Georgian Bay – all characteristics of the ultimate beach house! 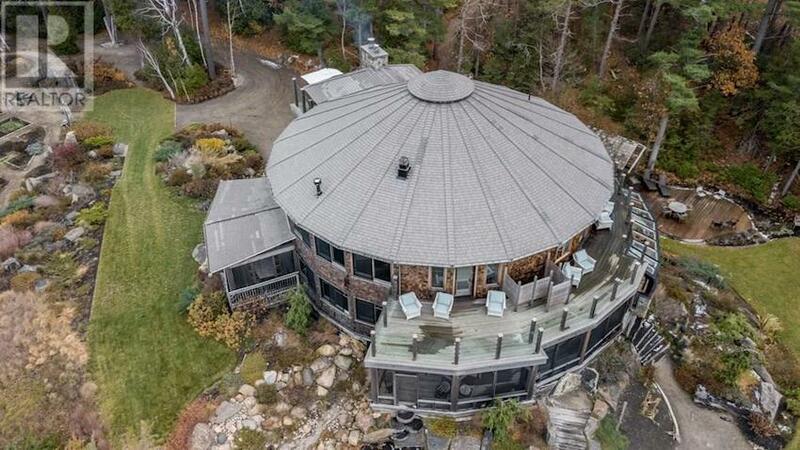 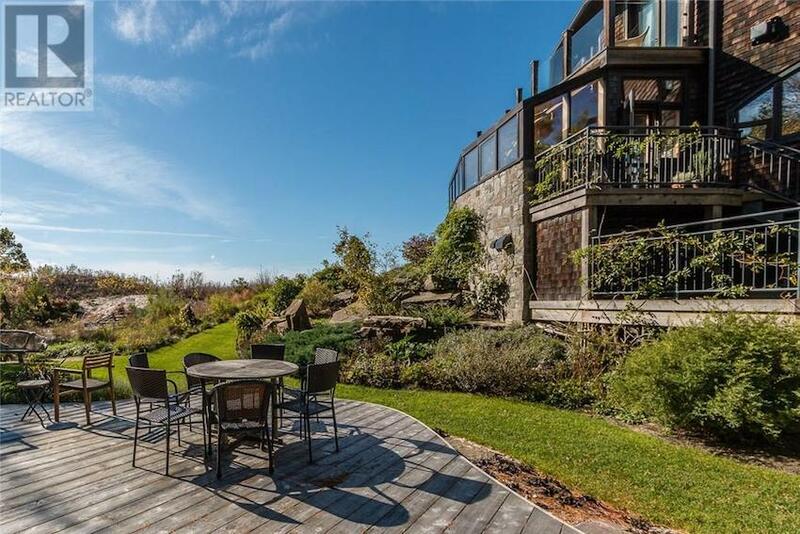 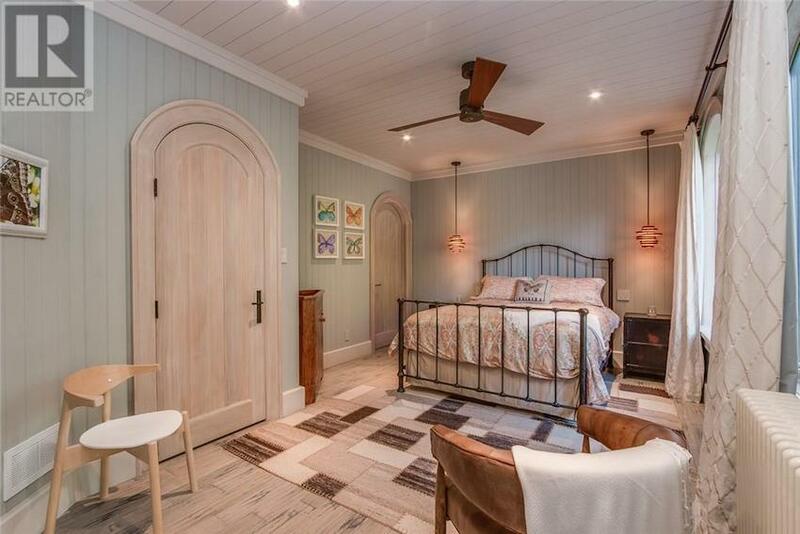 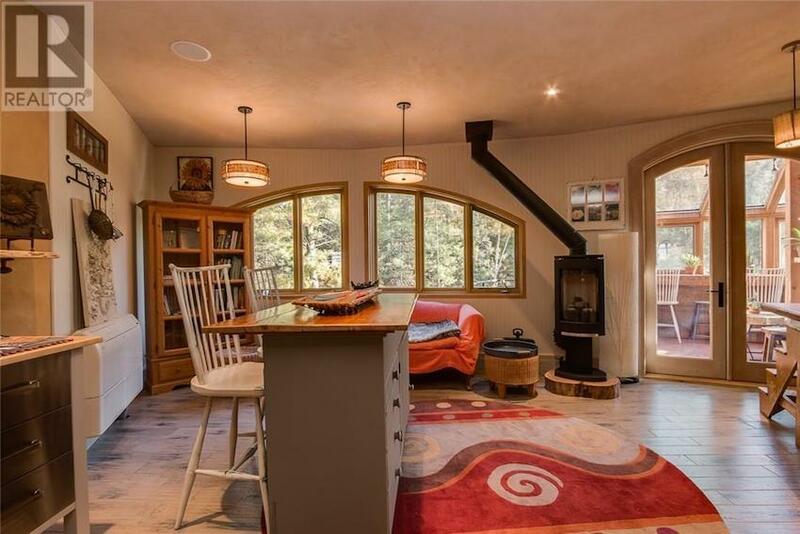 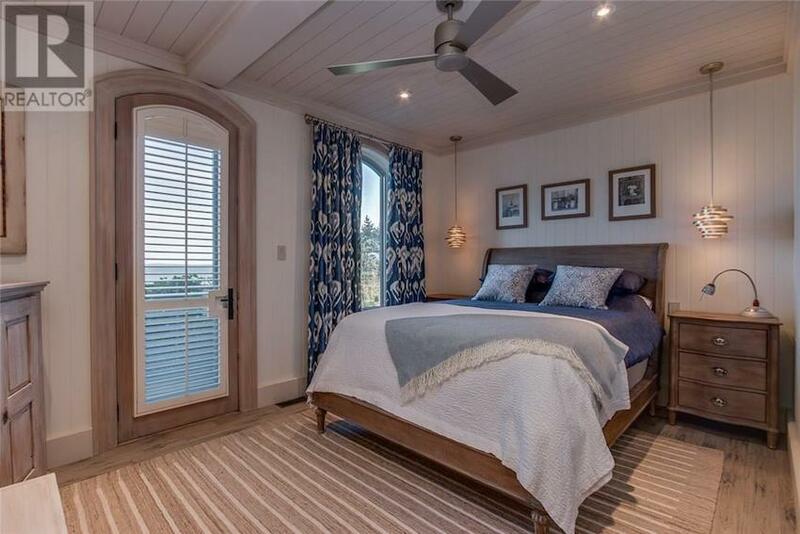 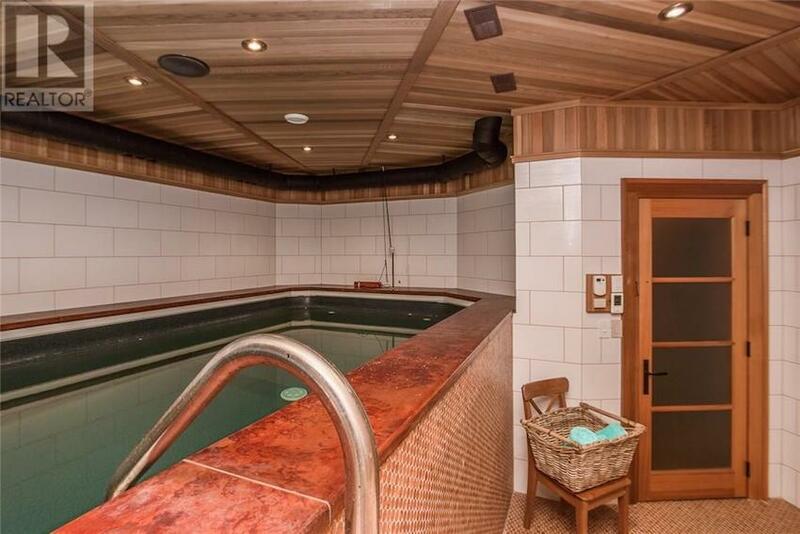 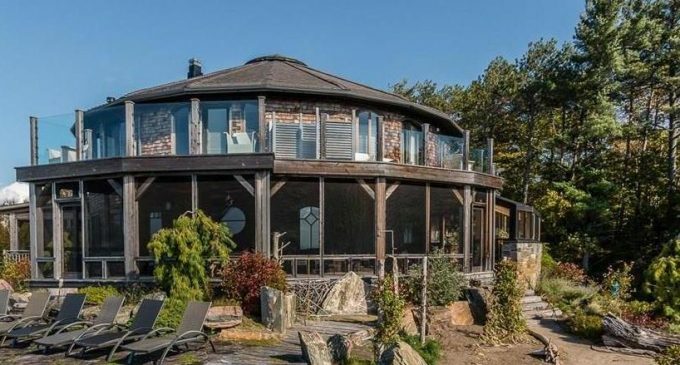 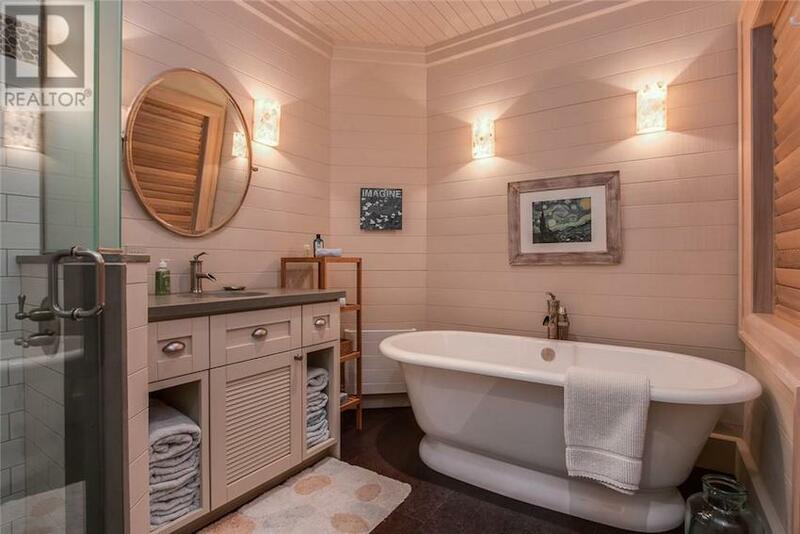 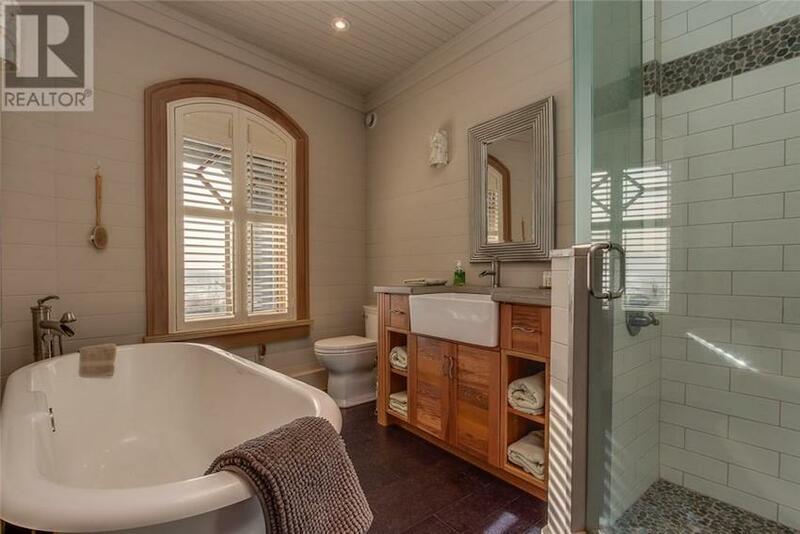 This charming circular residence has been reduced to $3,850,000 CAD. 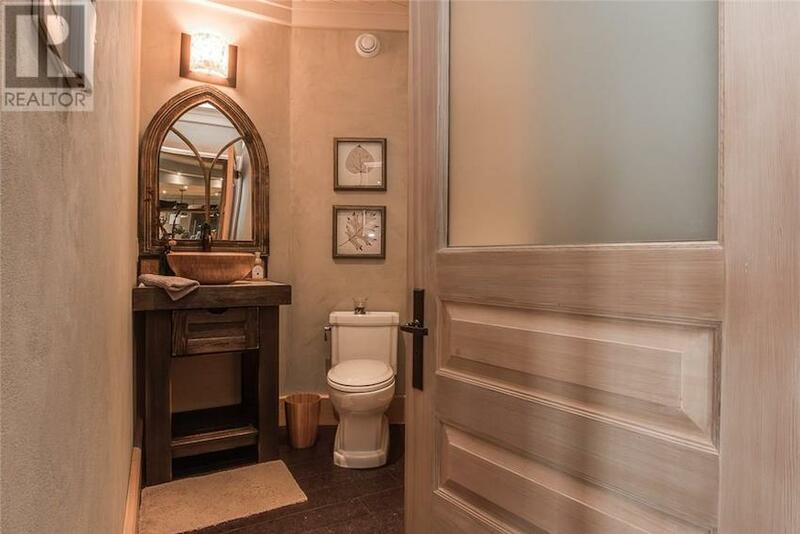 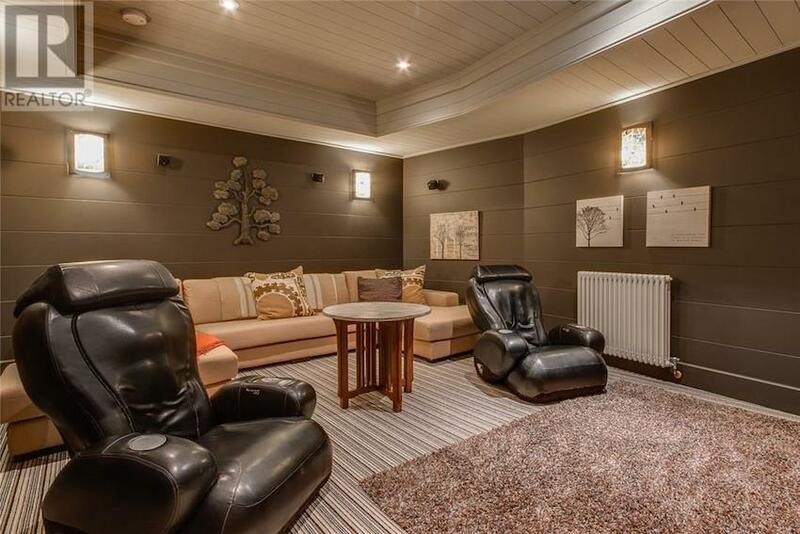 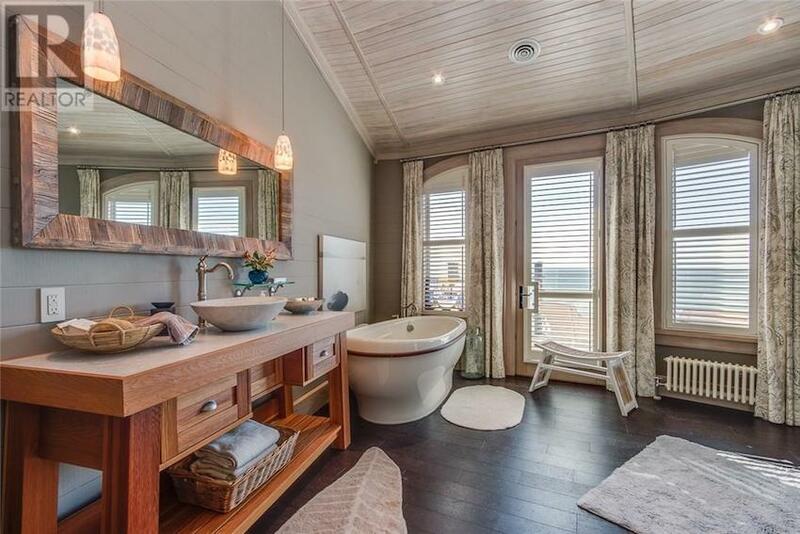 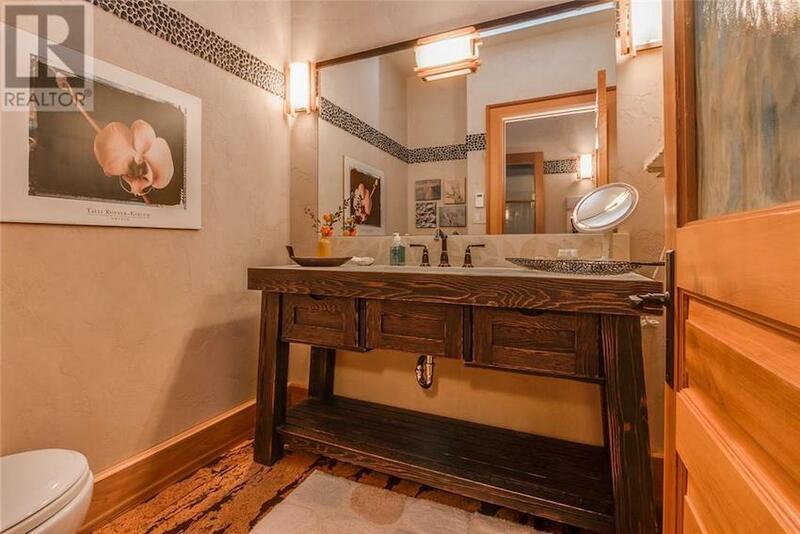 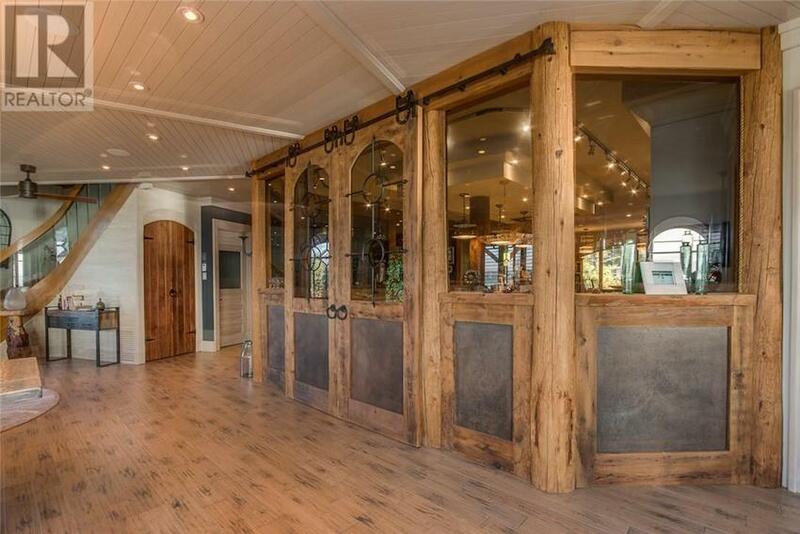 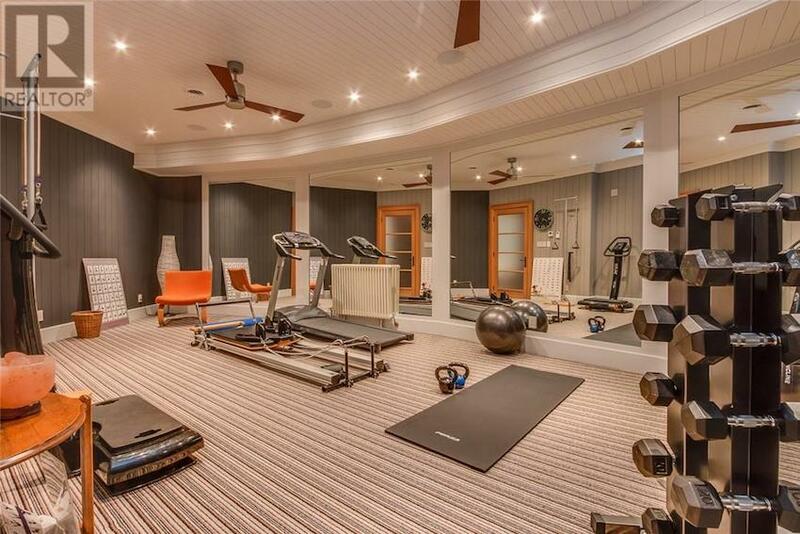 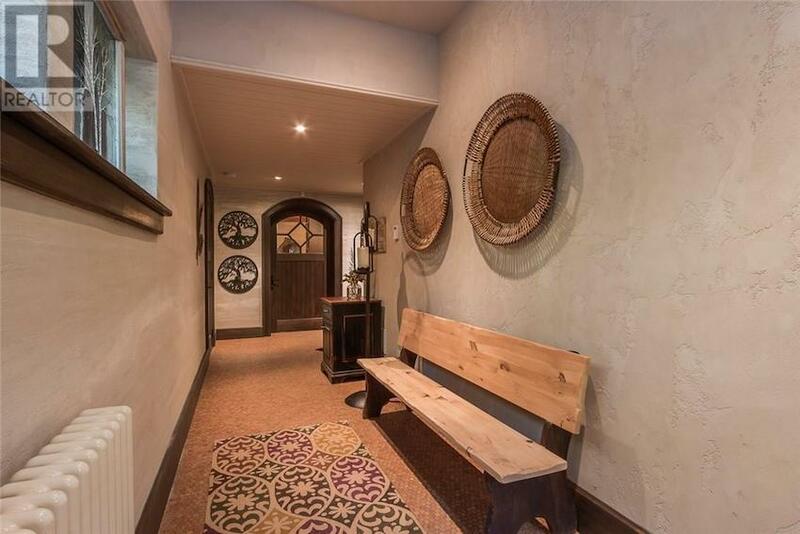 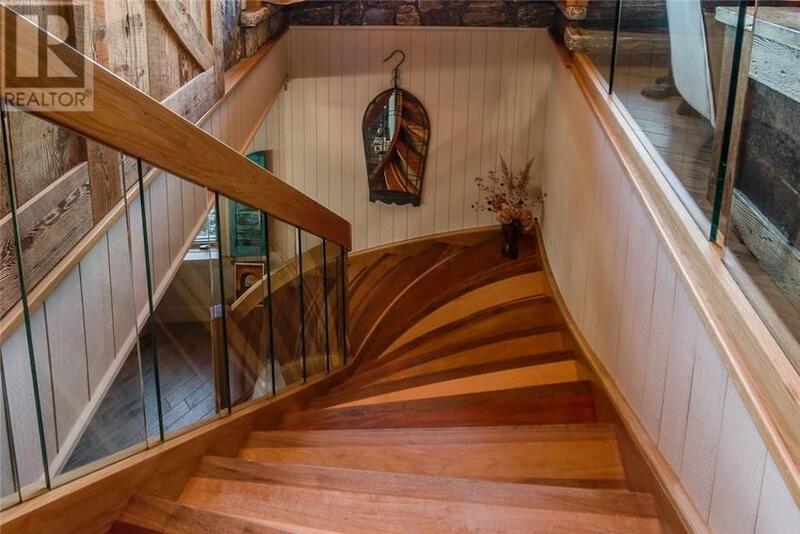 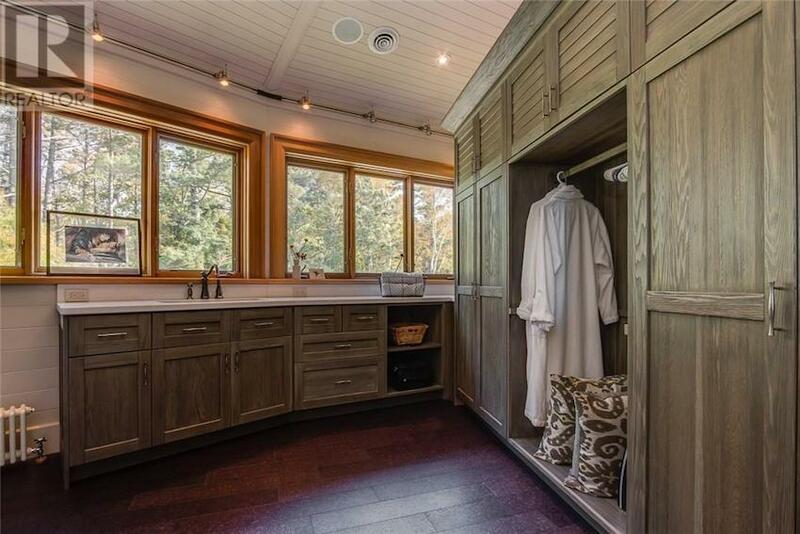 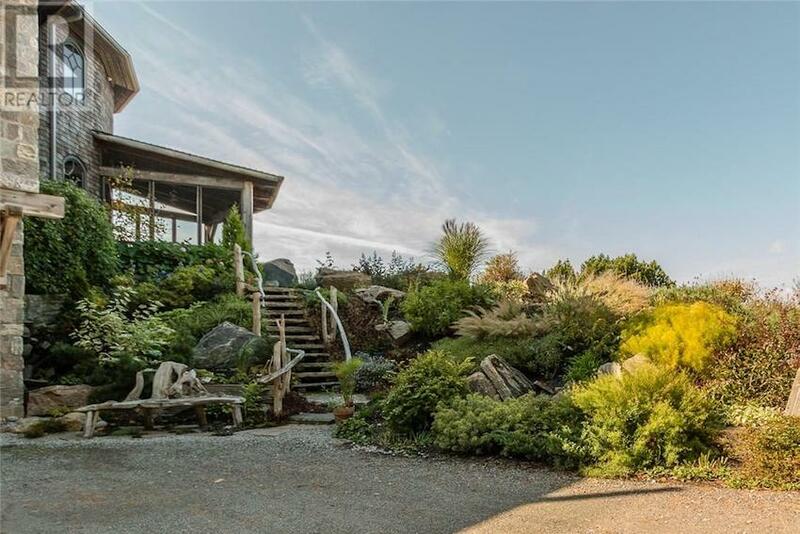 It had previously been on the market for $5,475,000 CAD. 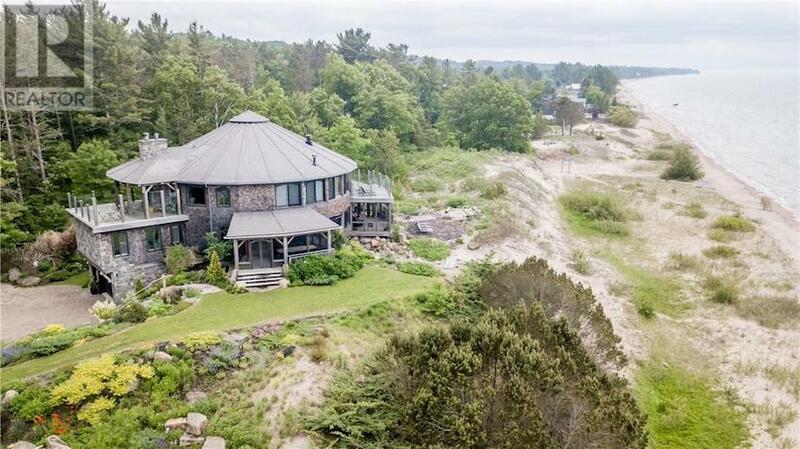 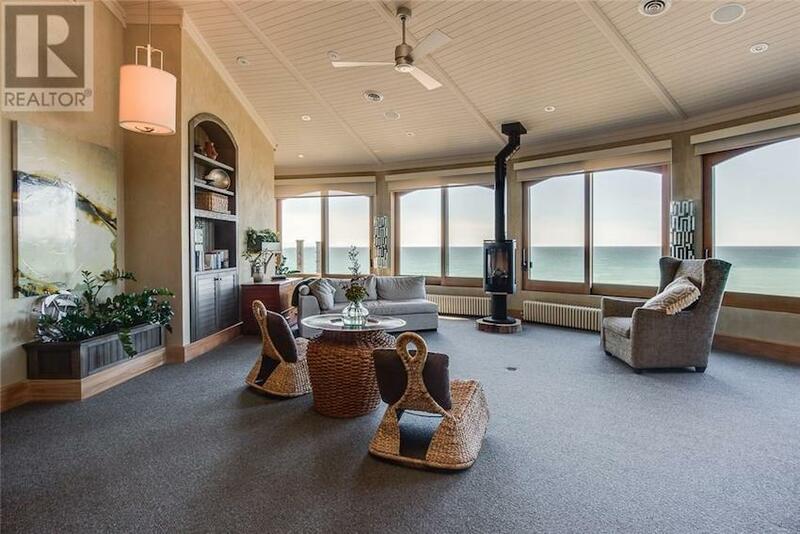 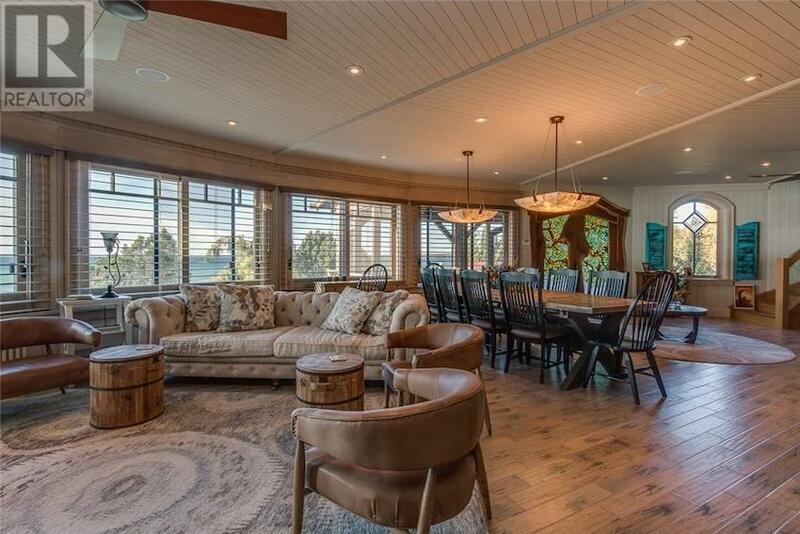 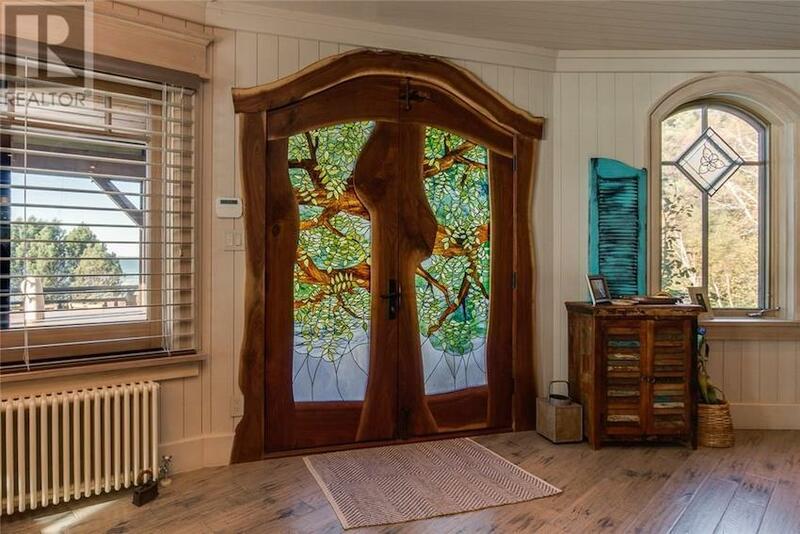 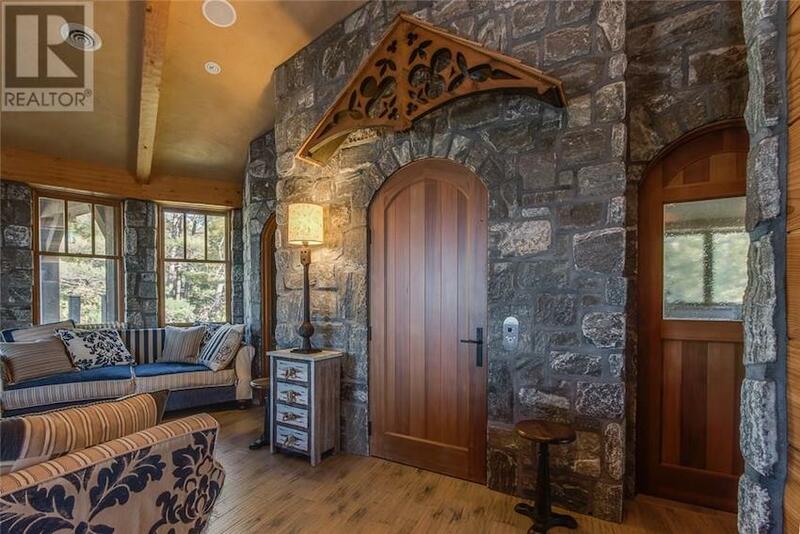 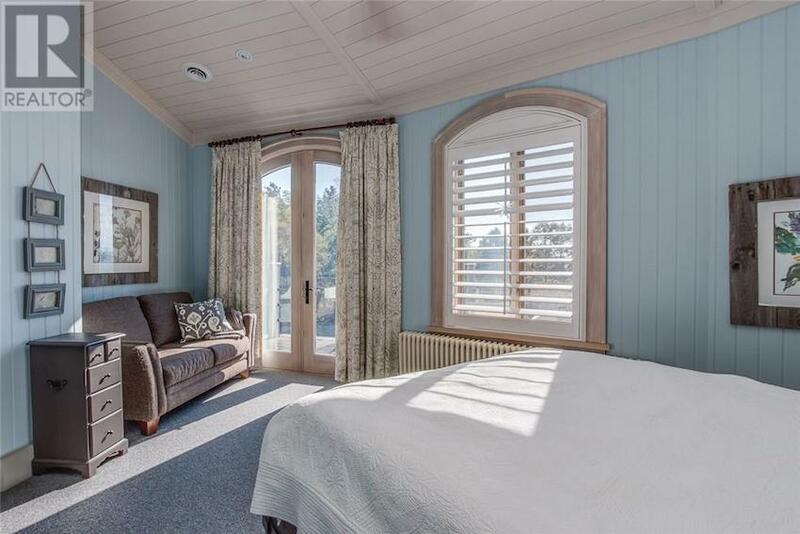 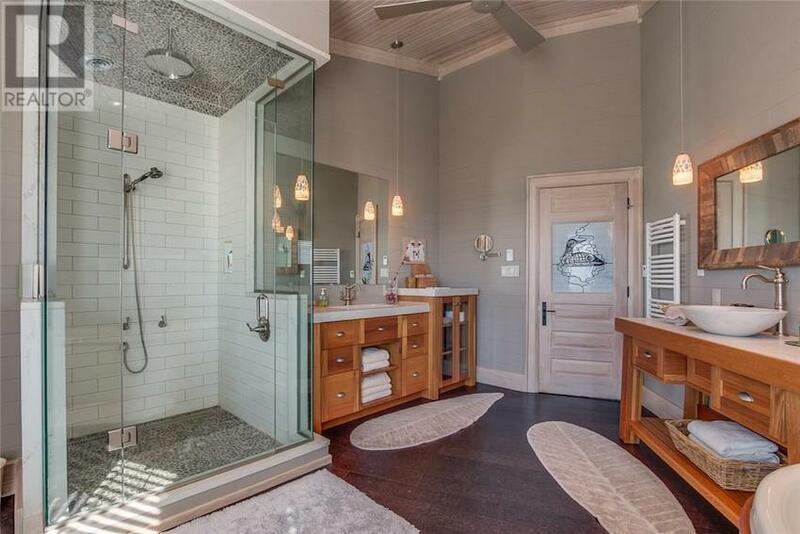 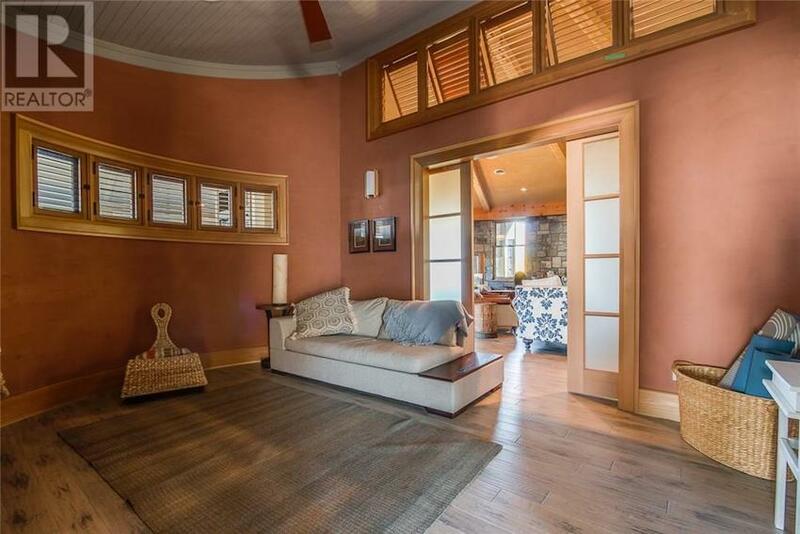 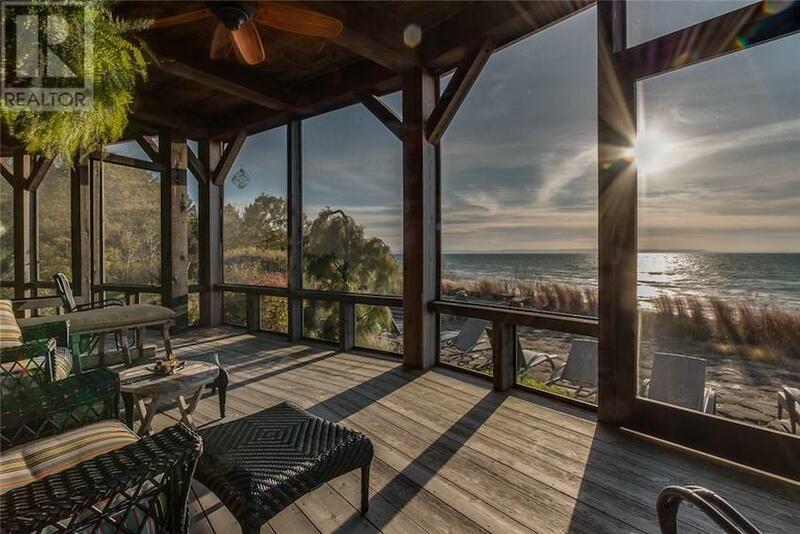 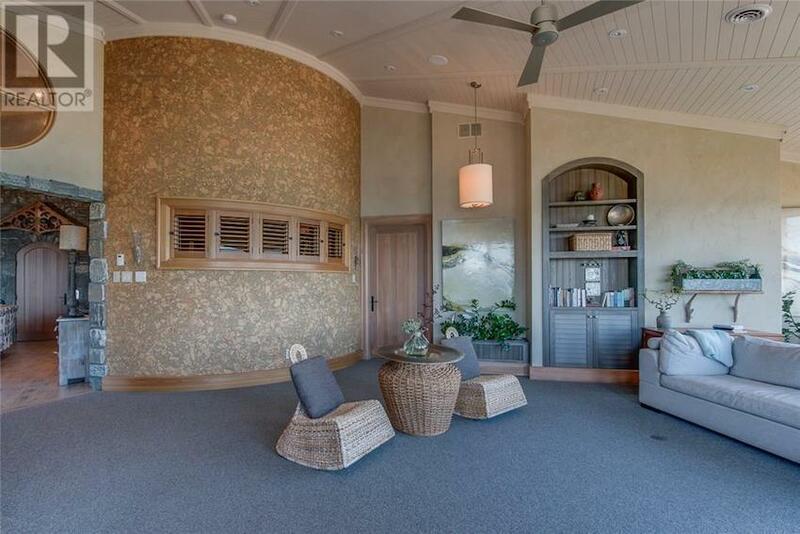 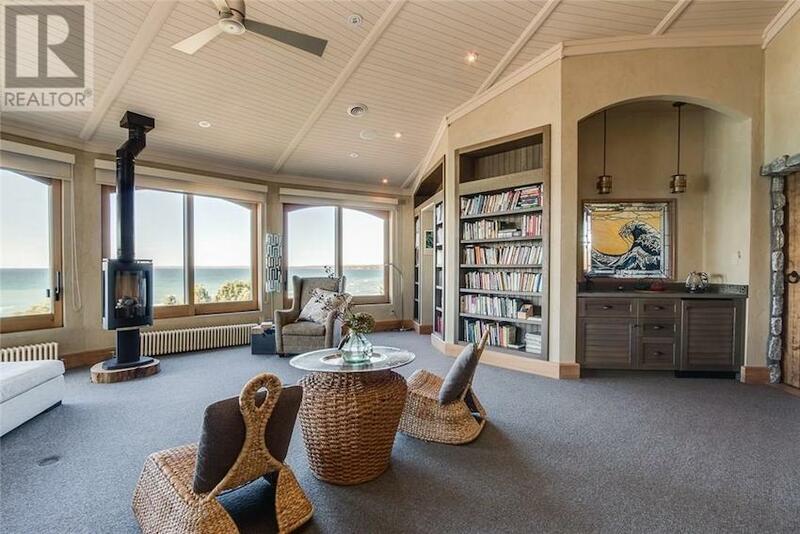 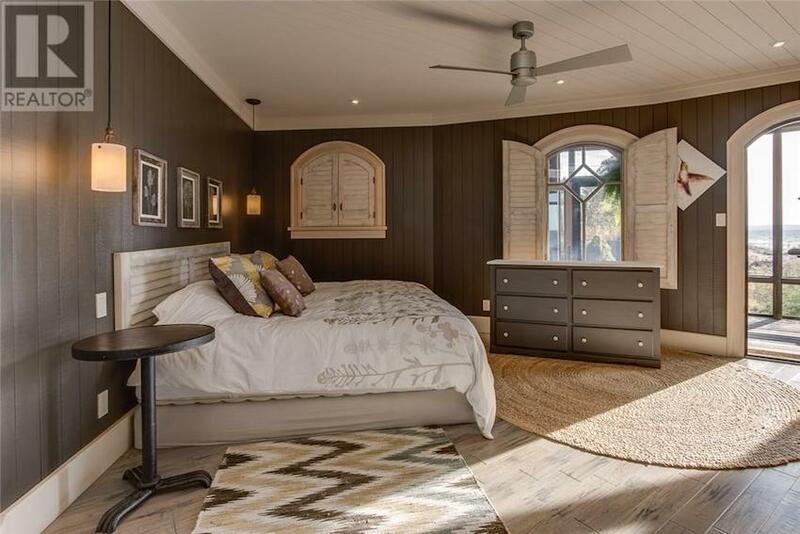 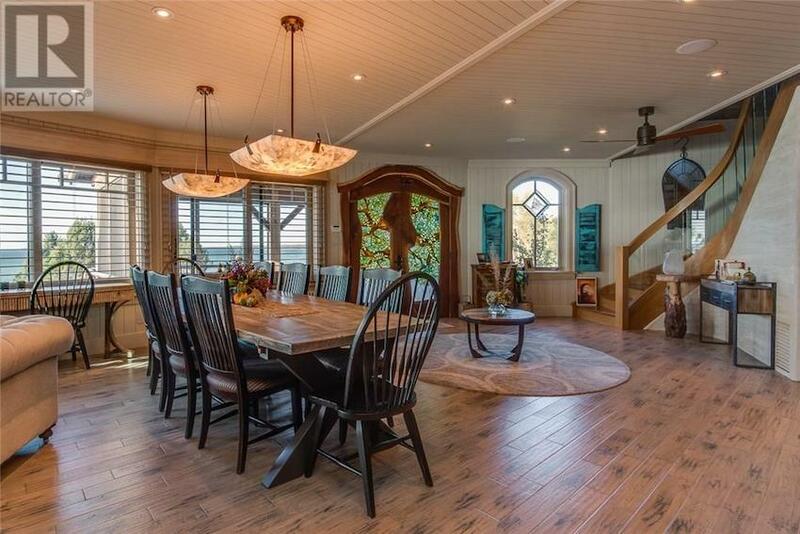 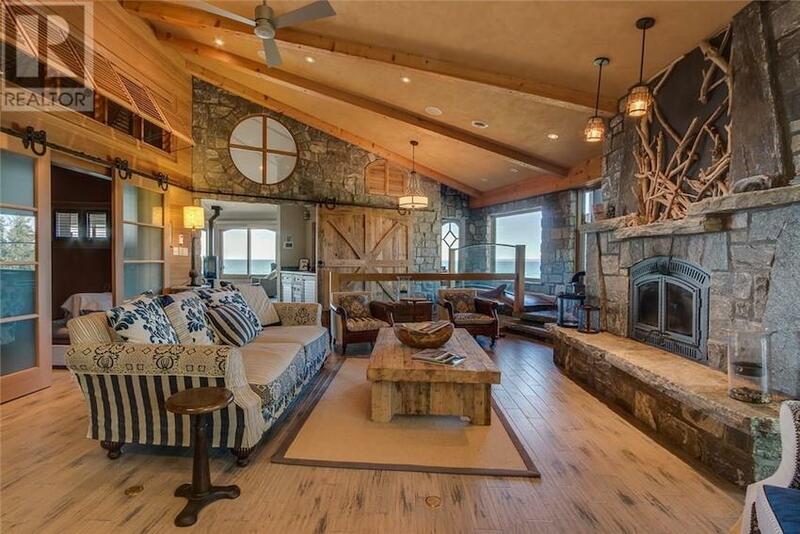 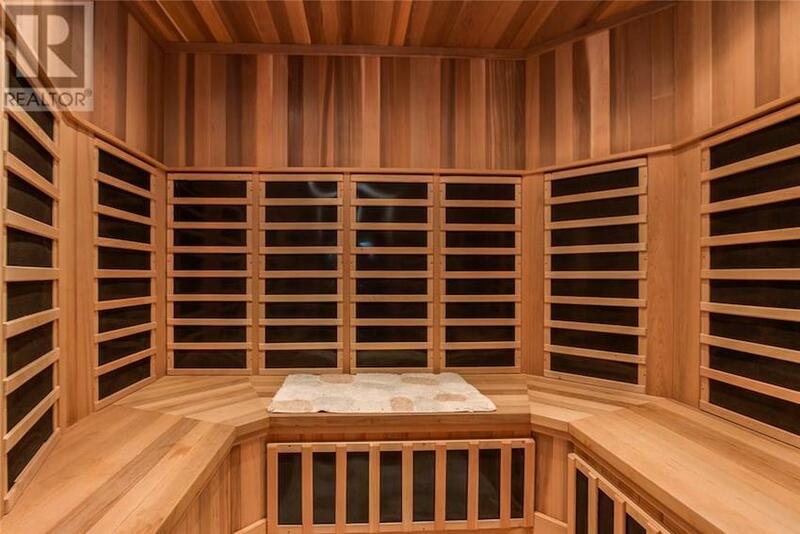 Perched on a 1.5 acre partially treed property with sandy beach, the 7,125 square foot circular residence was custom built in 2012 and comes loaded with character and charm throughout. 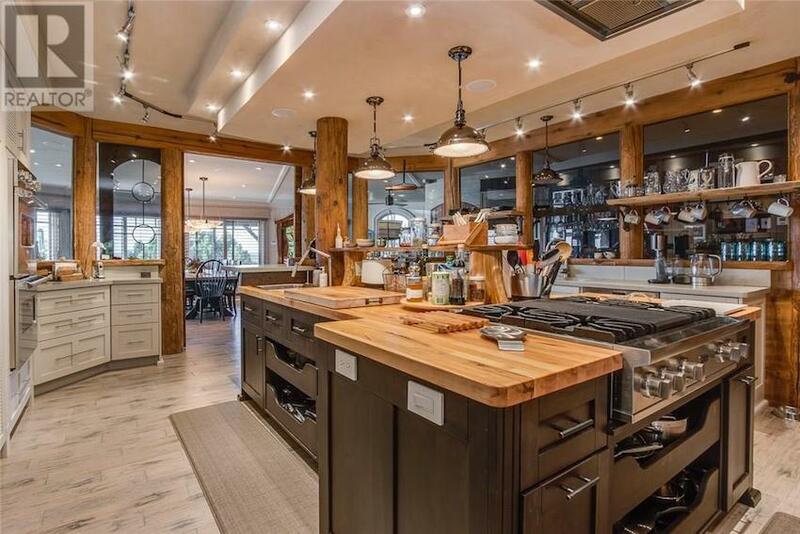 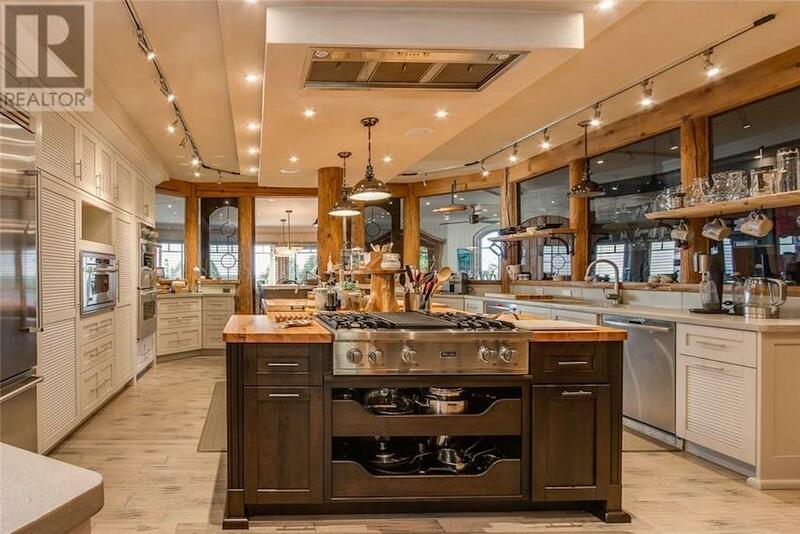 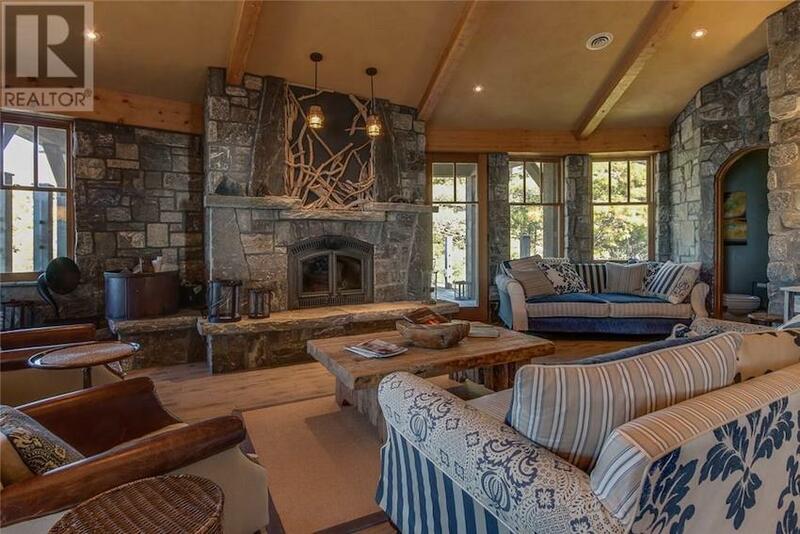 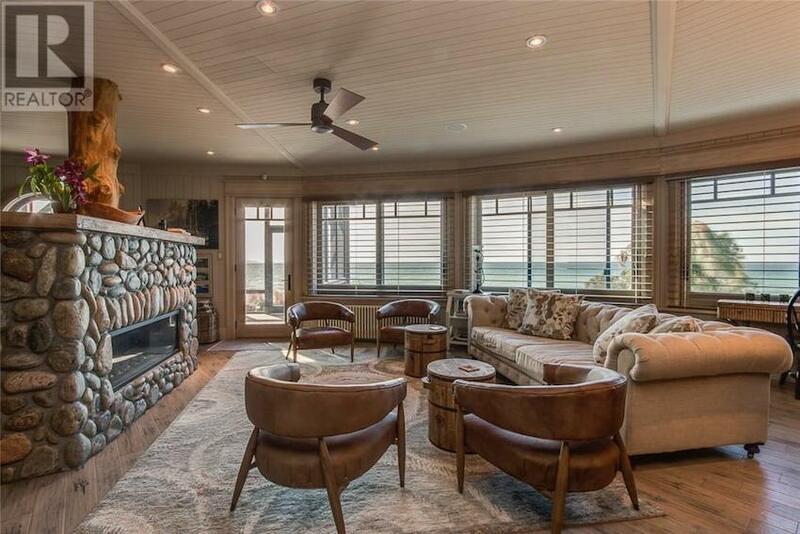 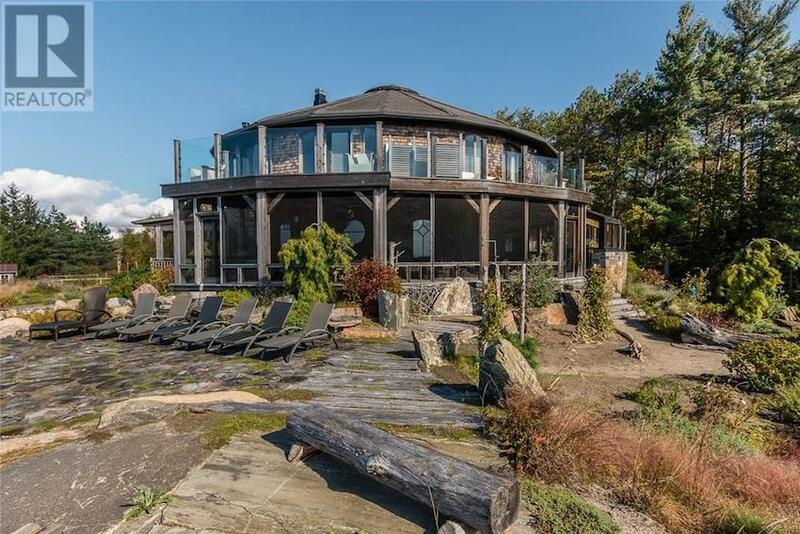 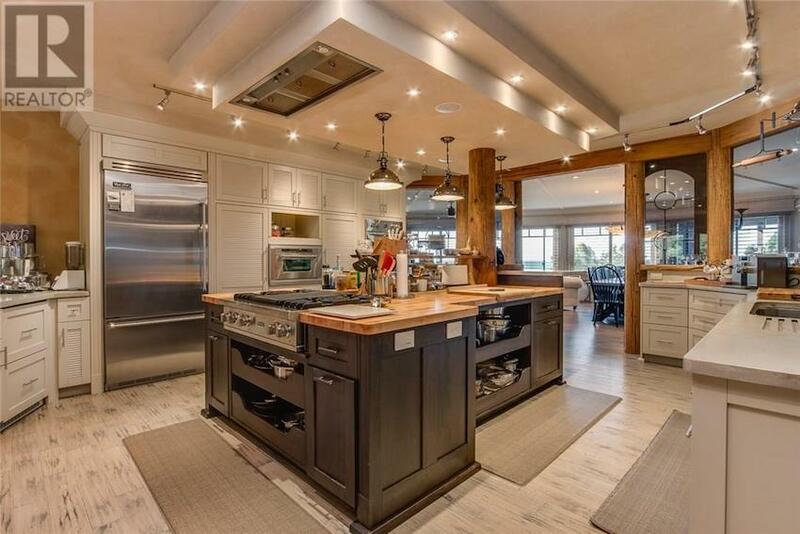 The interiors include large living areas with stone fireplaces, an open dining room with views to the Georgian Bay and a glassed-in chef’s kitchen with adjoining greenhouse. 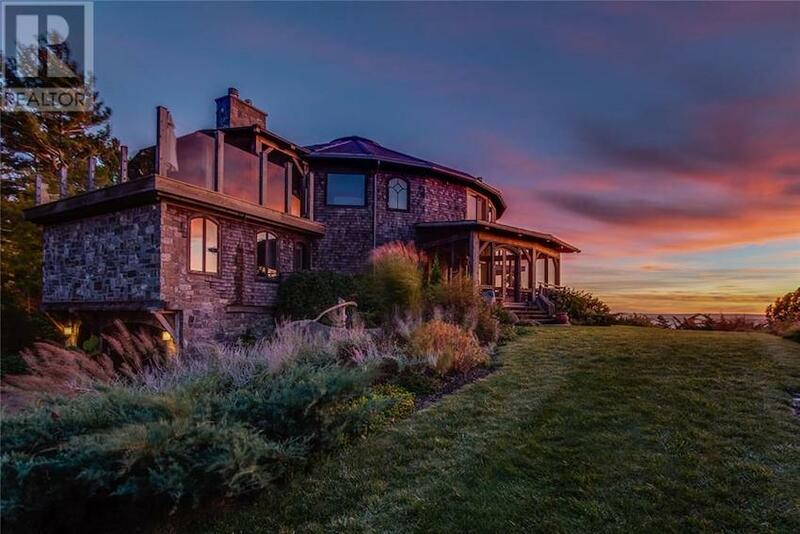 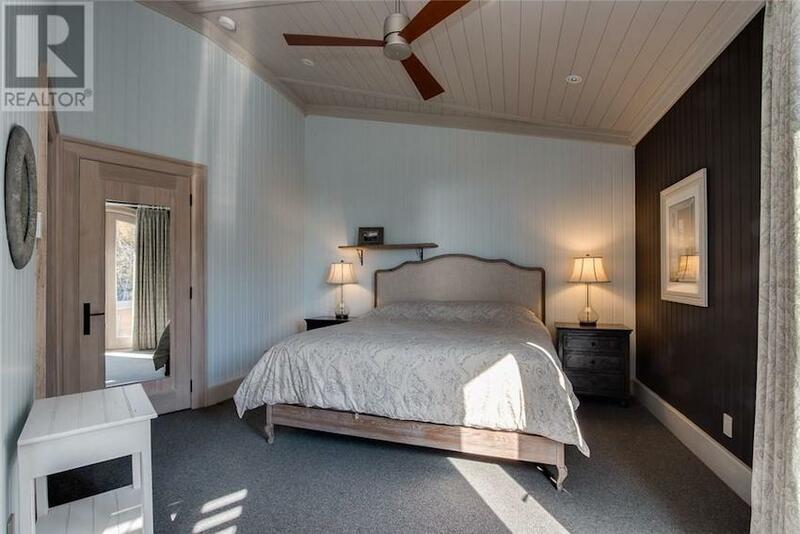 There are six bedrooms and eight bathrooms, including an impressive master suite with private deck, living space and beautiful views. 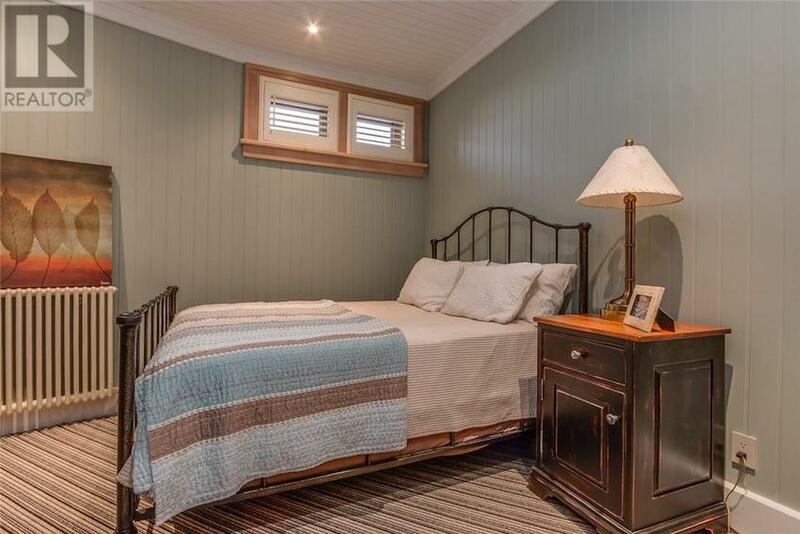 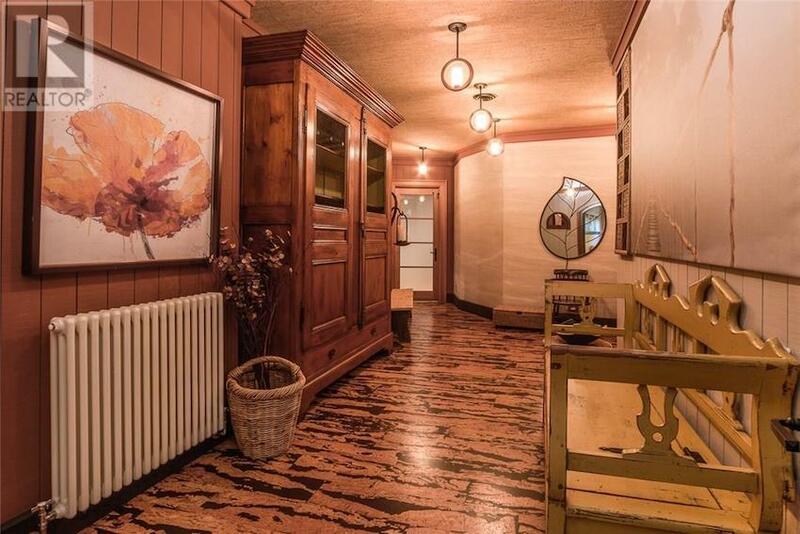 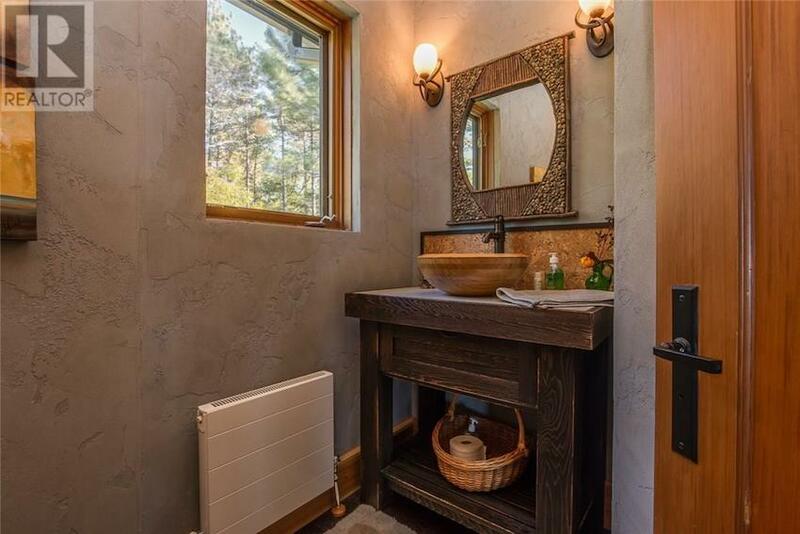 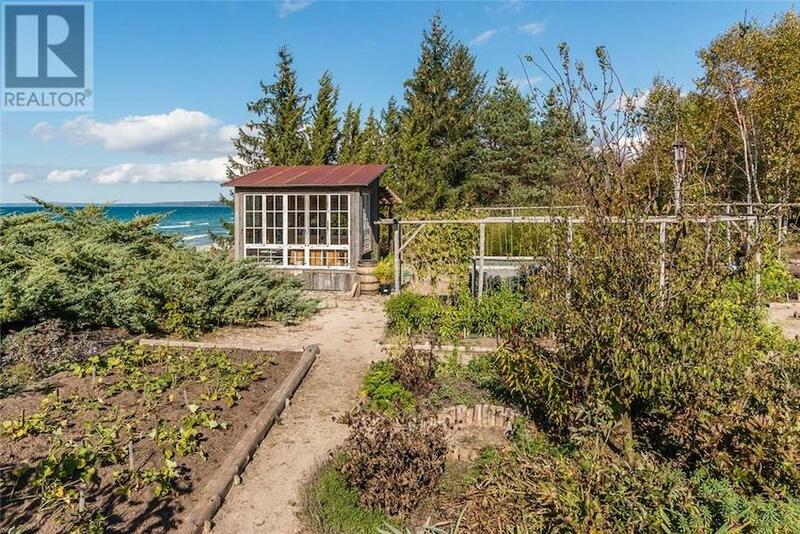 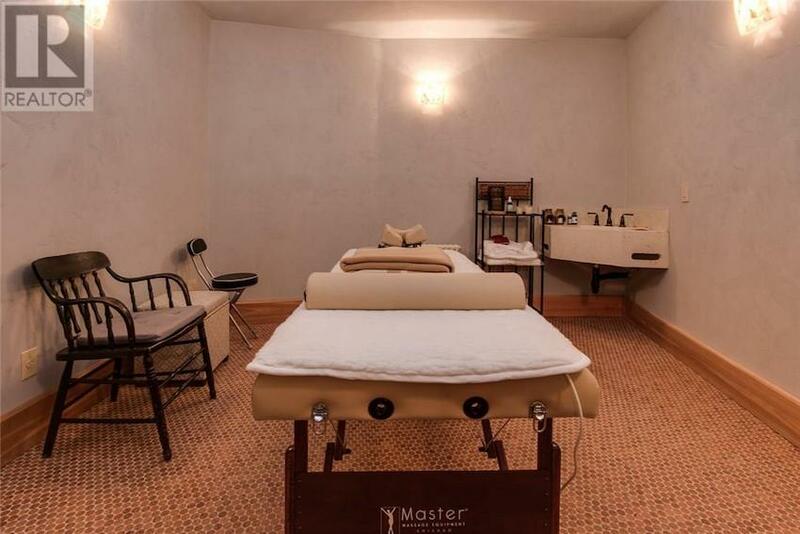 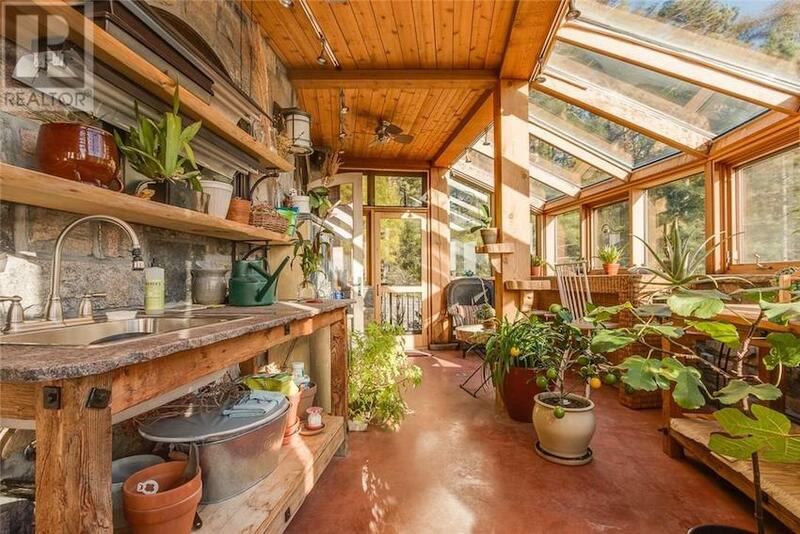 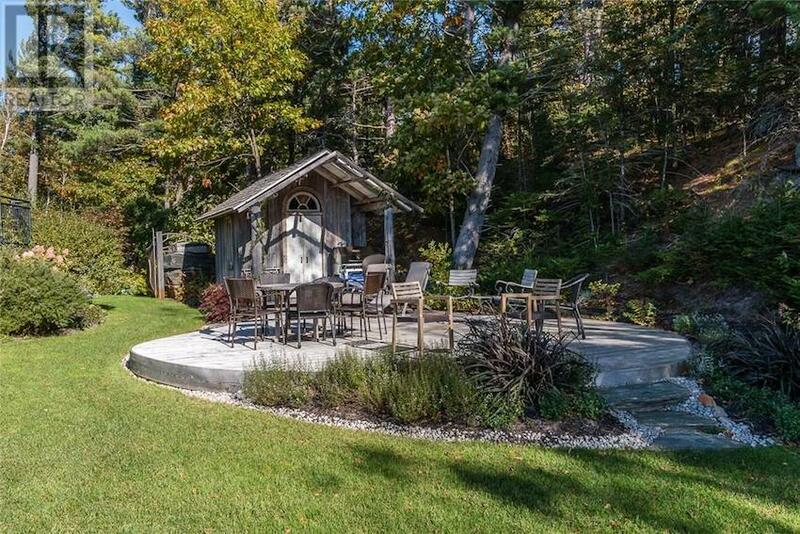 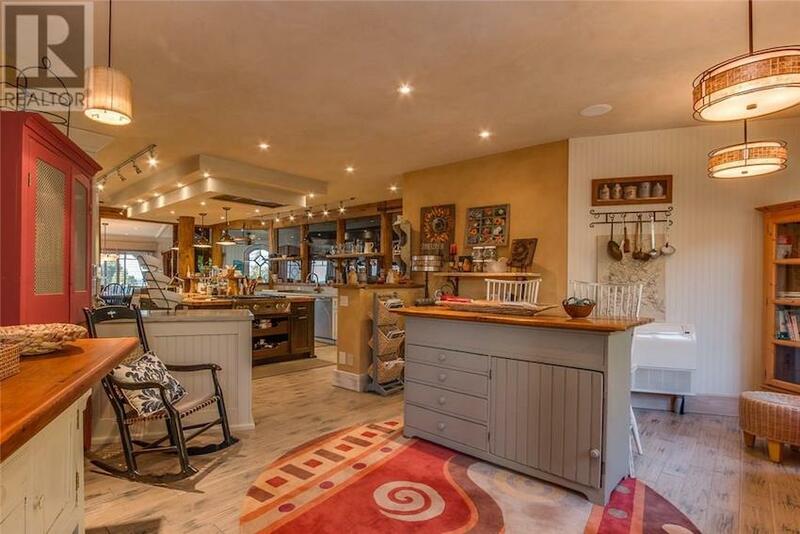 It’s located in the Township of Tiny, about two hours north of Toronto and one hour from the ski hills of Blue Mountain, and includes various small sheds and a beautiful vegetable garden. 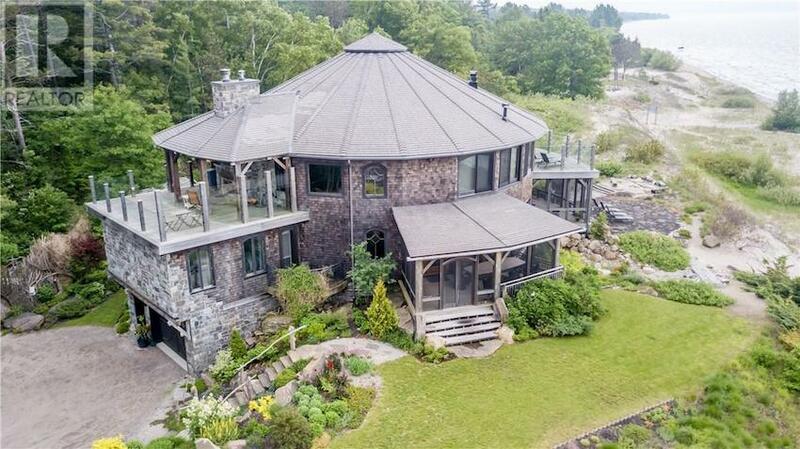 It’s on the market for $3,850,000 CAD with Lisa LePage.